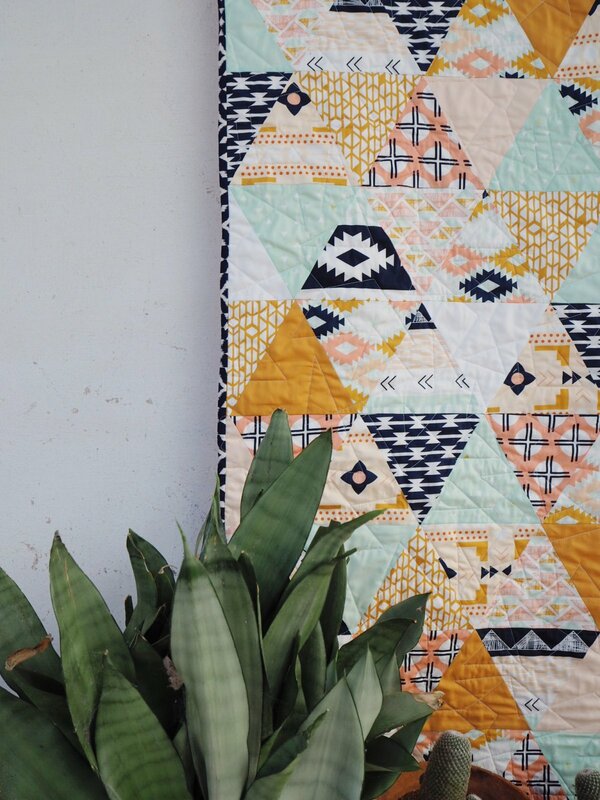 The Arizona Quilt designed by ruby & kate features the Arizona fabric range by April Rhodes. This gorgeous quilt showcases each print beautifully in a funky triangle design and would suit just about any fabric range. Finished size approx. 76" x 81"